 Protect screen and lens from daily scratches, dust, scrapes, and normal signs of wear.  Only 0.3mm thick; maintains the original touch experience. 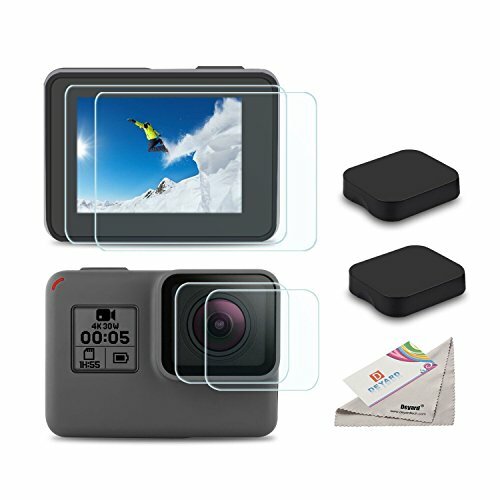 The highly transparent surface of the protection film for GoPro Hero 5 allows a pin sharp and genuine presentation of contents and colors on the screen.  The lens cap could help you to keep dust and scratch from the screen. 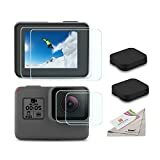  Package Includes: 2 x Screen Protection Film; 2 x Lens Protection Film; 2 x Lens Cover; 2 x Screen Cleaning Paper; 2 x Cleaning Cloth; 1 x Deyard Card; 1 x Deyard LCD Wiper.